You have reached the correct place to read about the best portable solar generator reviews. Having a solar generator can help you get power when you need it the most and at the same time, you can proactively limit the carbon emissions to our environment. As there is no natural gas, propane, or gasoline involved, every household, even the ones living in flats and apartments, can benefit from having a solar generator. There are many portable solar generators that can supply the necessary power in some outages like camping. All you need to do is research enough to find the right solar generator for you, set it up in a place where it can be exposed to daylight and you are done. You get all the power you need. Finding the best portable solar generator can be tricky as there are so many quality solar generators to choose from. Here are short reviews of some of the Amazon bestseller solar generators, some are portable and some are heavy but cheap and worth the money. This 150WH generator is a very handy device to have as it can be taken anywhere like camping etc and can be useful in any emergencies to charge your smartphones, laptops etc. You can power a few household lights as well. It can be a perfect portable small powerhouse as it contains a built-in 80 Watts AC inverter and a very convenient pop-up handle to take along for any long journey. Its stackable shape too makes it perfect for taking along for the ride. It can be quickly refueled from sun, car or wall. Solar charger and car charger are sold separately. Available in the black and silver exterior, this small solar generator includes one 12V battery and 2 Ampere USB outlet. This is one of the best portable solar generators you must consider. This is another small but really handy solar energy source for someone who needs limited power for off-grid adventures. 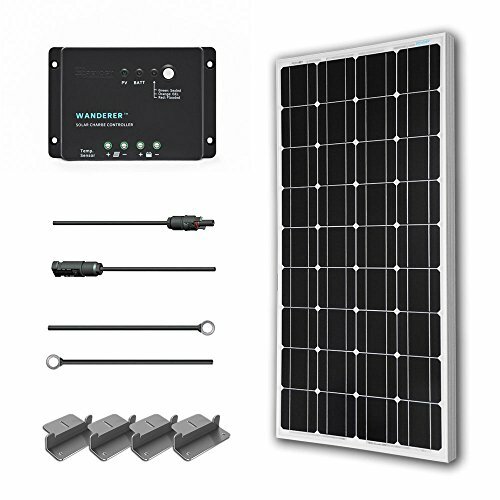 Its key features include 20 ft. MC4 Adaptor Kit, 30 amp PWM Charge Controller, Renogy 100 Watt Monocrystalline Solar Panel, and a set of Z-brackets. Overall, this can be a great source of energy in your off-the-grid cabin to charge small LED lights, smartphones, and small batteries. Suitable for home use with less power need. 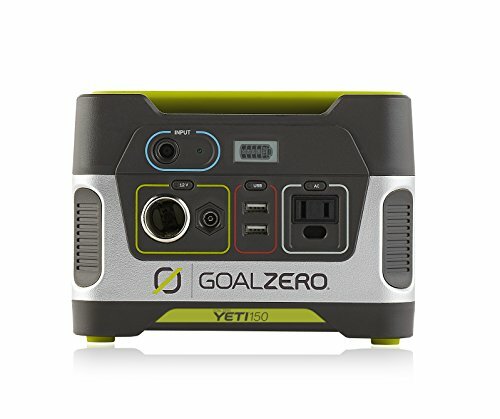 If your requirement is a little more than charging your smartphones, laptops, and power a couple of lights, then this Goal Zero 23000 Yeti 400 Solar Generator can be the right choice. You can use this 400WH solar generator to power TVs, CPAP machines and multiple lights. But its more capability does not mean it is less convenient. You can use this in unexpected outages, cabins and base camps as it is completely portable. It does not create any noise or fumes like the traditional back-up generators. Its chain-ability with other generators enables it to run for longer time. It is completely safe for indoor use as well and it can be refueled from sun, car, and wall. Solar panel and car charger are sold separately. It includes 300 watts pure sine AC inverter, 12 volts outlet, and 1.5 ampere USB outlet. This is one of the best solar generators for homes. 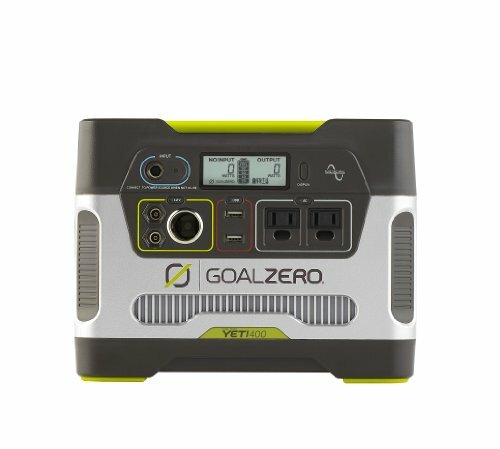 This 1250 WH Goal Zero 31901 is kind of ultimate solution for any back-up power supply, light duty construction, tailgating, and camping. You can power your health care equipment, freezers, refrigerators, TVs, tools, and lights with completely no fumes and noise. No cords come from outside, so it is completely safe for indoor operations. Available in black and silver colors, this is fairly easy to move around from place to place as a rolling cart is included with the product. So, you can use this in both indoors and outdoors. We thought that we can mention this generator under the best portable solar generators reviews. This is another high capacity solar generator that you can use for so many different purposes. 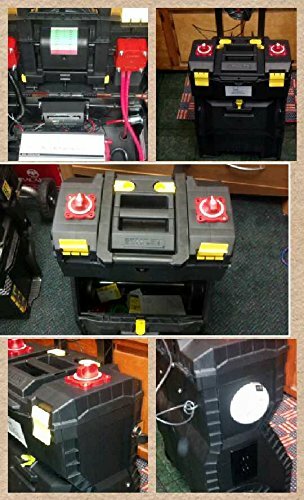 Its key features include 1250 Watt Inverter, Extra Battery Connectors, and Jumper Cables, 100 watt Solar Bendable Panel, LED safety Light and AC & DC Power Outs both are available. 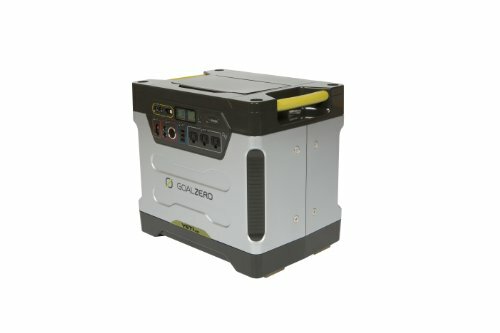 Other extra features like Marine grade battery and switches, portable case on wheels and Optional Lithium Battery included in this solar generator to increase its value. This generator requires charging on a regular basis. It does not generate any fumes or noise. It takes 3 to 5 hours to get fully charged, thus, allow you to use its power during the day. And when fully charged, TFS Solar Generator can power a refrigerator, computer, flat screen TV, 700-Watt microwave, cell phone and many other portable devices we use. Solar Extreme Complete Solar and Inverter System Go Power! This is by far the largest solar and inverter system offered by Go Power! This solar system and inverter are perfect for someone who wants to use solar power to charge big batteries and AC appliances. It can be used for a wide range of activities such as powering computers, audio sound equipment, blender, TVs, microwave and so on. 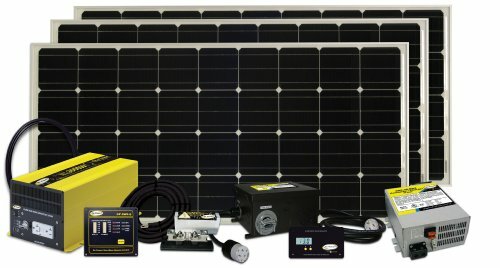 The key attribute of this system includes 3000 Watt pure sine wave inverter system and a 480 Watt solar charging kit and everything necessary to hook the inverter and solar system and install the systems in a flat surface. So, you can use it for all many different purposes both during the day and night without any fumes and noise. You can use it in the cabin, cottage RV or boats. We highly encourage you to check other reviews available online and ask people who are using solar generators about their experience. Chances are the solar system that is perfect for you is one that is not in this small list of solar systems. But these are the Amazon’s best seller solar generators with so many positive reviews. Once you make your preferred solar systems within 2/3, make sure you read the reviews on Amazon carefully, especially the ones marked as “Verified Purchase”. We hope that we have provided enough basic information about the best portable solar generator reviews. Find the questions and answers sections and read them carefully to fully understand the kind of product certain solar system will be. If you still have some questions, don’t hesitate to ask one!